Cayce's clairvoyant statements about the past, present, and future of the world have never been comprehensively summarized and presented. Some portions have been presented in isolation, especially Atlantis, but his whole vision has never been seen. As I began to catch glimpses of it, I realized that no had ever grasped the historical significance of either Cayce's work or the scientific power of the vision which can be found it it. Thus I undertook to summarize it to determine if it had implications for Cayce's millennial earth change predictions. By carefully culling from thousands of paragraphs in Cayce's readings, I selected every relevant phrase. Each phrase became a puzzle piece, perhaps a "tile" is a better metaphor, which I slowly attempted to organize. As I slowly fitted these "tiles" together this past four years, composite images began to show in the "mosaic". Each image begged for additional research, making my overall progress slow indeed. What I originally thought would take four months took four years. But it was worth it. Eventually, the story of a vast epic appeared in the mosaic, a consistent, comprehensive story of what was, what is, and what shall come to pass. This mosaic vision could only be composed with the aid of a computer to do the selecting and assembling of the "tiles", hence the prophecy which the vision contains of "This Time" could only appear only in "This Time". The story is so comprehensive and so at odds with conventional notions I was faced with a profound dilemma. Either the story is an delusion based the ravings of an idiot, or most conventional academic ways of thinking about the earth and human history are fundamentally in error, trapping us collectively in a series of illusions. To resolve the dilemma, I had to ransack all of human history and fair chunks of archeology, geology, and physics. I had some grounding in all of these areas, but even so chasing to establish the validity of Cayce's "tiles" through the academically known universe took even more time. Soon it became an endless swamp of leads. It finally came to me, sadly and reluctantly, that I could not conceivably be as definitive as I wanted. The vision was far too broad. I finally let go of trying to prove the vision when I came to three profound realizations. My first realization was that 99% of the vision was consistent with established facts. Consistent with the FACTS, but not with academic theories and academic suppositions. And, as a matter of fact, out of several hundred descriptions in the "mosaic", there were only two items which seemed to contradict what some people claim are facts. My second realization was that the vision provided a complete, consistent "paradigm" which had greater explanatory power than all other academic approaches and concepts about human and earth history. As a matter of fact, most anomalies and unexplained artifacts from the past suddenly became "explained" (at least partially) and part of an even richer "mosaic", rather than something which is kept in academic closets as something weird or inexplicable. This "richer mosaic" overwhelmed me with its possibilities and it took me some considerable time to let go of it to refocus back onto Cayce's mosaic. My third realization was that the Cayce paradigm is THE ONLY "psychically derived" information on earth from a source which had objective credibility. This is reason enough to seriously work with the paradigm, using it as a guide to see where it leads. This single fact distinguished the Cayce paradigm from all other occult, metaphysical, and spiritualist sources of information, relieving us of a major problem poised by the New Age movement. Tens of thousands of psychics are busy "channeling" information, well over a thousand of which are published in some form. These psychics collectively contradict each other and Cayce. Very few of them have any demonstrated objective credibility. None of them has a demonstrated "score" by which we can evaluate the level of confidence we should place on their statements. Almost none of them provide objective statements which can be proven or disproved. The few who have publicly provided verifiable statements demonstrate a high degree of inaccuracy. There is no way to determine if any of the material has any connection to the real world. Hence, there is no compelling reason to deal with it. With Cayce, we know that his rate of accuracy was greater than 90%. We know this because he documented his predictions. He made hundreds of pre-cognitive statements about objective human history and we can prove or disprove these predictions. From this verification we can give him his score. I believe that speculative researchers exploring the antediluvian past will find a powerful tool in this paradigm to help sort out what are useful inferences and deductions from the endless blind alleys. Cayce has much to say about the stories of Egypt, the Sphinx, the Hall of Records, even those in the Roman "bible", the connections between the mythologies of widely scattered ancient peoples, the hermetic traditions, artifacts of ancient technologies, humanity's connection with Third Party, crustal displacement theories, and many other mysteries of the past. I strongly encourage the Bauval's, Hancock's, Wilson's, Flem-Ath's, Noone's and others of their genre to seriously test their inferences and leads within Cayce's framework. The work of these authors has provided some of the validation of some of Cayce's Ten Million Year Vision. It is time for Cayce's vision to pay them back. I admire the work of these investigators very much. Their speculative sleuthing work is of great importance in helping humanity to cast off the illusions of a very narrow, very provincial, time-bound, euro-centric point of view. They have unearthed hugely important facts and have made great connections opening our comprehension to broader vistas. But I have found that they are partially stuck in certain blind alleys from which I believe Cayce can help retrieve them. In the case of Hancock et al, I believe that he will find the additional leads he needs to fully realize the essence and centrality of the Phoenix myth in Heaven's Mirror. He almost has it...and Cayce will help put him squarely in the middle. The Story of the Phoenix is the only story of human origins that there is, most "origin" legends in most cultures, no matter how different they appear, are but variations of this same story from different points of view. 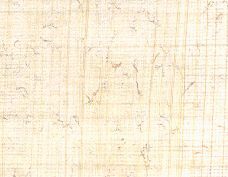 To show it, the Seven Baboons left many hermetically sealed signatures in many places, the keys to which they painted on the subwall walls of Egypt. Ah, but we are getting far ahead of ourselves. We have miles to go on this quest before we can decipher such metaphors. in "The Hall of Records", which is a sequel to the Trilogy.